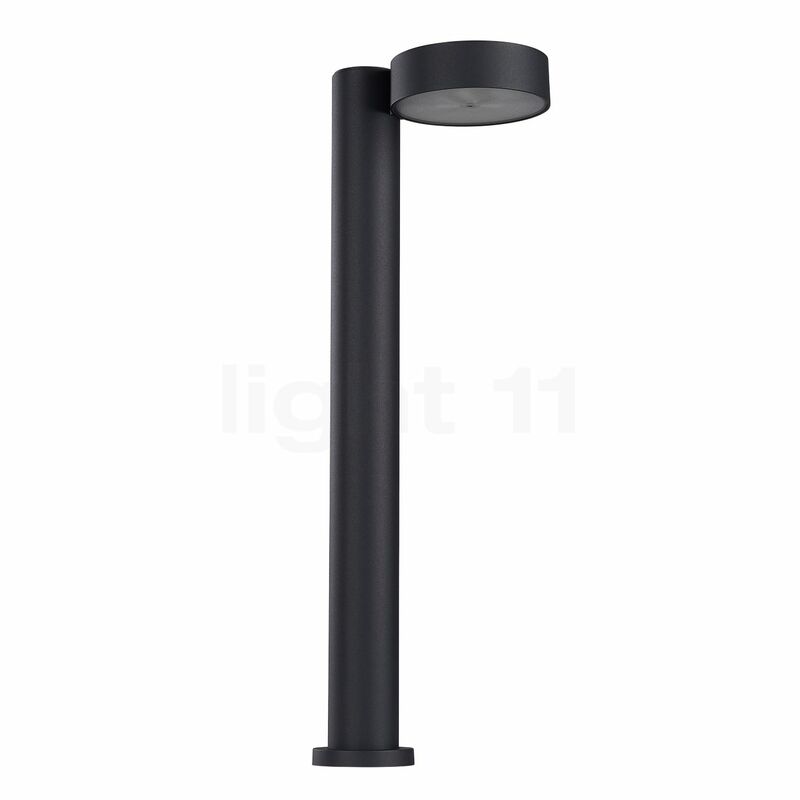 The Bega 77218/77219 bollard light LED presents itself in a conspicuously inconspicuous design. It is manufactured from cast aluminium, aluminium and stainless steel. The light opening of the 77218/77219 bollard light LED is covered by a sheet of impact-resistant plastic. In conjunction with a high-quality workmanship, the bollard light by Bega has all it needs for the demanding service that awaits outdoors. he 77218/77219 bollard light LED is available in different versions. In terms of the colour, you can choose between a graphite and a glossy silver look finish. Furthermore, the bollard light is either available with an anchorage unit made from galvanised steel (77218) or with a screw-on base for mounting on foundations (77219). Impact-resistant plastic secures the illuminant. The smooth graphite surface finish rounds off the elegant look. On the upper side of the round steel tube a disc-shaped light-emission aperture is located though which direct, glare-free light is emitted onto the floor area in front of the luminaire. 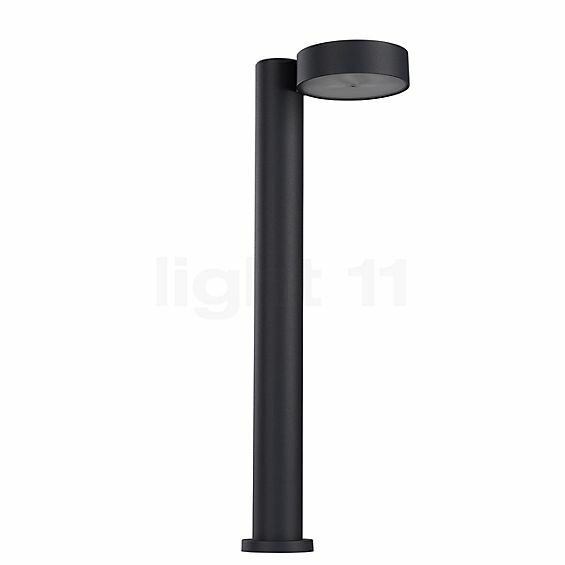 The Bega 77218/77219 bollard light LED operates using energy saving LED illuminants. With a power of only 6.6 watts the 77218 version of this light produces a luminous efficacy of 640 lumens. With the 77219 variant, the LED lamps achieve a luminous efficacy of 520 lumens with a power of 7.8 watts. The required illuminant is preinstalled in both versions of this Bega light. According to protection class IP65, the Bega 77218/77219 bollard light LED is absolutely dust-proof and protected against the ingress of water jets. Tell other customers and us about your experiences with the 77218/77219 - Bollard Light LED ! With its bright and warm-white light the Bega 77218/77219 bollard light LED is ideally suited to provide driveway lighting in accessible areas. Driveways, courtyards and garages are reliably illuminated. Furthermore, bollard lights are perfectly suited to optically separate lawn areas or flower beds from accessible ways or areas.